Marina Barsy Janer (1988, San Juan, Puerto Rico) Isil Sol Vil (1982, Igualada, Catalunya) are artists, curators, researchers and pedagogues of performance art. Directors of EMPREMTA international festival of performance and of the cultural centre MATERIC.ORG. 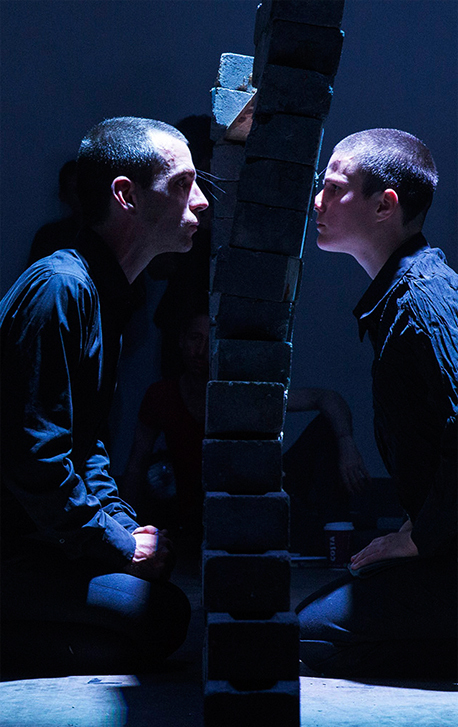 They begin their joint work in 2015 following a philosophy of Subversive Lo0ve and eXtreme Care. They have presented their work in galleries, museums, universities, symposia, festivals and urban spaces in Catalonia, Spain, Cyprus, United Kingdom, Germany, Switzerland, Denmark, Greece, Canada, Mexico, Dominican Republic, Puerto Rico, Colombia, Peru, Bolivia, Chile and Argentina. Noves adquisicions 2015-2018. Museu de l’Empordà (Catalunya). 25 January-31 March 2019. LATITUDES, International Performance Art Festival of Santa Cruz de la Sierra. Centro de la Cultura Plurinacional (Bolivia). 15-19 January 2019. Curator: Hector Canonge. Homografía / Homography international encounter of video performance. Art Space, MACAZ Museo de Arte Contemporaneo Alfredo Zalce, Colectivo 41, Centro de Arte Bernardo Quintana, Museo de Arte de Tlaxcala (Mexico). November-December 2018. Curators: Edgar Ramírez and Chris Miller. Paisatge d’acció. Rambla de Figueres (Catalunya). September-November 2018. Curated by La Muga Caula, Joan Casellas. ExperimentoBIO 2018. Bilbao La Vieja (Euskal Herria). October 2018. Body Landscapes. VerdensKulturCentret. Copenhagen (Denmark). September-October 2018. Curated by Performance Køkkenet, David Sebastian Lopez Restrepo. El paisatge documental 2017. Museu de l’Empordà. Figueres (Catalunya). September 2018. Curated by La Muga Caula, Joan Casellas. FLUX CLUB 2018. Antic Teatre. Barcelona (Catalunya). April 2018. CARTOGRAFÍAS DEL RECUERDO. 2018. MATERIC.ORG. L’Hospitalet de Llobregat (Catalunya). CUERPOS DE MEMORIA. 2018. Faculty of Fine Arts, University of Barcelona. Barcelona (Catalunya). CUERPO COMO ESPACIO. 2018. Escola Massana. Barcelona (Catalunya). AGRIETAR LO REAL. 2018. Contemporary Art Museum of Puerto Rico. Santurce (Puerto Rico). TEJIENDO AFECTOS. 2017. Faculty of Fine Arts, University of Puerto Rico. Rio Piedras (Puerto Rico).